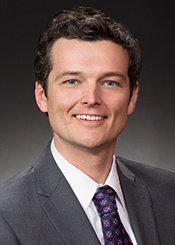 In a case of first impression, a division of the Colorado Court of Appeals weighed in on how a trial court should adjust a jury verdict against a contractor when two critical components are still at play: (1) a setoff from other liable parties and (2) a clause in the contract limiting liability. In short, the court concluded the correct approach is to first apply the setoff against the jury verdict and then apply the contractual limitation against the recoverable amount. The facts in Taylor Morrison of Colorado, Inc. v. Terracon Consultants, Inc., 2017 COA 64, highlight the massive difference in what order the court factors in the setoff from the contractual liability. In this case, Taylor Morrison of Colorado, Inc. (“Taylor Morrison”), was the developer of a residential subdivision. Terracon Consultants, Inc. (“Terracon”) was the geotechnical engineering firm which performed services at the project. In a written contract, Terracon was responsible for testing the soil for compliance with project specifications and building codes. Taylor Morrison and Terracon further agreed to place a cap on Terracon’s total liability to Taylor Morrison at $550,000 for any and all damages or expenses arising out of its services or the contract. Several years after Terracon performed its work, the homeowners sued Taylor Morrison alleging cracks in the drywall of their houses, and Taylor Morrison in turn sued Terracon and various subcontractors for damages relating to those defects. Among other reasons, Taylor Morrison attempted to void the limitation of liability clause on the ground that Terracon’s conduct was willful and wanton. The court dismissed Terracon after it depositing $550,000 in the court registry. Taylor Morrison proceeded to trial against other subcontractors and settled for $592,000 with remaining subcontractors. Taylor Morrison appealed the court’s dismissal of its willful and wanton claim Terracon on the ground that it should have been allowed to introduce evidence of Terracon’s willful and wanton conduct so as to void the limitation of liability clause. The appellate court remanded the case to determine whether Taylor Morrison should have been allowed to introduce such evidence. The trial court concluded that Taylor Morrison should have been able to, so it ordered a new trial against Terracon alone. At the trial, the jury awarded Taylor Morrison $9,586,056 in damages. Despite the large verdict, after reviewing post-trial briefings, the court entered a final judgment of zero dollars due from Terracon to Taylor Morrison. The trial court arrived at this result by applying the contractual limitation of liability to reduce the jury verdict of $9,586,056 down to the limitation of $550,000. Finally, it then deducted the $592,500 setoff from the prior settlement from the other parties against the $550,000 to arrive at zero dollars owed. Taylor Morrison appealed again and contended that the trial court erroneously deducted the $592,500 setoff from Terracon’s contractual limitation of liability of $550,000 rather than deducting the setoff from the $9,586,056 jury damages verdict. The appellate court agreed. Consequently, the court concluded that the trial court must first apply the setoff against the jury verdict to ascertain the allowable amount of recovery, and then apply any contractual limitation against this reduced amount. “This approach prevents double recovery by the plaintiff, preserves the parties’ right to have the terms of a contract enforced, and best gives effect to the jury verdict.” Taylor, 2017 COA 64, ¶ 25. In application, this would mean the court should have applied the $592,500 setoff to the $9,586,057 jury verdict. This would have resulted in a new total of $8,993,556. The trial court then should have applied limitation of liability and reached a final judgment of $550,000 due from Terracon to Taylor Morrison. The Court of Appeals remanded the case back to the trial court to enter this new judgment. For more information regarding the Taylor Morrison v. Terracon lawsuit or about construction defect litigation in Colorado, you can reach Scott Sweeney by telephone at (303) 653-0044 or by e-mail at Sweeney@hhmrlaw.com.